Life is analog...digital is just samples thereof. I have always thought they make terrific sounding electronics without breaking the bank. My dealer is a Magnepan, ARC and Rogue Audio dealer. He told me that without a doubt the RP-9 is the best sounding preamp he has ever heard. I hope he is at least close to being right. I auditioned the RP-7 but did not get a chance to audition the RP-9. I am buying this because I trust this dealer. He has never told me anything that wasn't true. The RP-7 was very good. The RP-9 is supposed to be much better. Let us know your impressions after break in and audition time. Have a good time! I was told it would take 5-7 days from today to get the preamp. I'll let you know next week. The RP-9 is supposed to come broke-in, right out of the box. I will still give it some time and give a second report of its sound after that period of time. Last edited by EdAInWestOC; 04-11-2019, 05:10 AM. tube or ss audio section? Congratulations on the new preamp! PHONOSTAGE: AudioNet PAM G2 with AudioNet EPS G2 power supply. 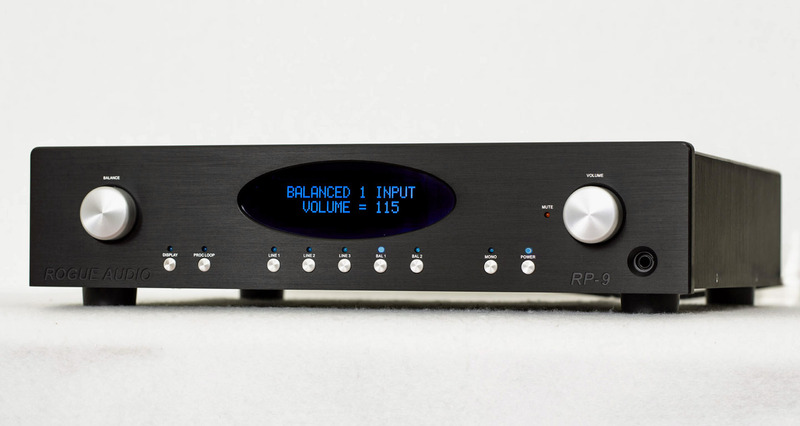 I could not find anything directly but the TAS review of the RP-7, which is the predecessor of the RP-9, reports that it has a stepped-attenuator volume control providing 192 steps and 0.5dB increments. The RP-9 should have at least that if not better. I always wanted the Athena because of that.